For the majority, we tend to rely on the proven standby of Paracetamol for fever and pain relief, only seeking medical assistance if the pain becomes too much to bear, or the fever does not come down. For others the cost, time and inconvenience of seeking medical treatment for what is perceived to be relatively minor problems requires some knowledge and familiarity with over-the-counter medication. You are not alone with your paracetamol tablets in first aid kits, medicine cabinets, office drawers, handbags and backpacks as a standby for everything from the first signs of a flu, cold or headache. Paracetamol was discovered in 1877. and has been extensively studied for safety and efficacy, making it safe and effective when used as directed. It is the most commonly used medication for pain and fever in both the United States and Europe. It is on the World Health Organization's List of Essential Medicines, the most effective and safe medicines needed in a health system. It is found in more than 600 different medicines including prescription and over-the-counter pain relievers, fever reducers, sleep aids as well as in cough, cold and allergy medicines. The affordability and easy availability of Paracetamol can however result in over-reliance and overuse. Guardian is a trusted name in Malaysia for over 50 years. It operates a chain of over 400 stores, providing a variety of Pharmaceutical, Health and Beauty products to more than 2.5 million Malaysian customers a month. 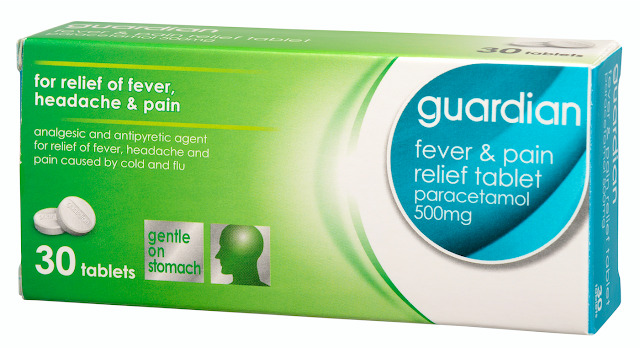 Enter Guardian’s Fever and Pain Relief Tablet 500mg, a trusted and proven generic paracetamol solution, and the ‘Take Your Life Back’ education and awareness program to help consumers understand safe dosage of this medication, and when they should seek medical help. Guardian is delighted to offer this affordable paracetamol pain and fever relief range as a first option to light to moderate pain linked to cold and flu, while educating on responsible usage. This tablet contains a paracetamol formulation that is an analgesic and antipyretic agent which relieves fever, headache and muscular pain caused by cold and flu. It is gentle on the stomach. Available as 500mg tablets in blister pack strips it retails for RM3.10 for 10 tablets, RM8.90 for 30 tablets and RM26.00 for 100 tablets at all Guardian outlets nationwide. It is the same as brand-name paracetamol in dosage, safety, effectiveness, strength, stability, and quality, as well as in the way it is taken and should be used. The only difference is that it is priced even more affordably. As a trusted health and beauty chain, Guardian Fever and Pain Relief Tablet 500mg is made in line with good manufacturing practices. The Guardian Take Your Life Back paracetamol education and awareness campaign recommends five simple steps to use paracetamol safely. 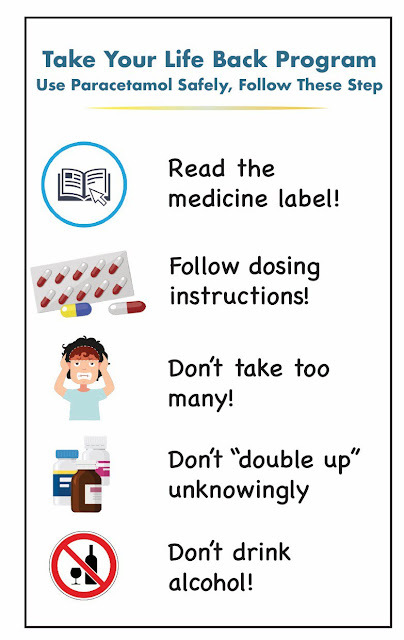 Read the ‘Drug Facts’ information on any OTC or prescription label, then follow the direction. Don’t take more than directed, even if your pain or fever isn’t better. Taking more puts you at risk for liver damage. A visit to a medical professional is recommended if the pain or fever persists. Don’t take more than one medicine at the same time that contains paracetamol. Don’t drink alcohol when taking medicines that contain paracetamol. Always ask your healthcare provider or pharmacist if you have questions about dosing instructions or medicines that contain paracetamol. Guardian Fever & Pain Relief Tablets 500mg are available at all Guardian outlets nationwide, at RM3.10 for 10 tablets, RM8.90 for 30 tablets and RM26 for 100 tablets.